MOSCOW, April 19. /TASS/. Containers with chlorine from Germany and smoke barrels from Salisbury have been found in Syria’s Eastern Ghouta, Russian Foreign Ministry Spokeswoman Maria Zakharova told reporters at a press briefing on Thursday. "Syrian government troops have found containers with chlorine, the most deadly chemical weapon, brought from Germany, along with smoke barrels made in the city called (guess where?) Salisbury, the UK," she emphasized. "I would also like to draw attention to the fact that back in January 2013 the British newspaper Daily Mail published an article that revealed information about the White House’s consent to a chemical attack in Syria by the US and its allies with a view to to subsequently blaming President Assad for it and intensify military operations in that country," Zakharova said. "Both Russia and Syria have said on numerous occasions they had information about provocations prepared by militants involving the use of chemical weapons, workshops to make all types of weapons found in the liberated areas in Eastern Ghouta. All relevant information has been and will be forwarded to the OPCW." Zakharova also said that the US-led strikes on Syria were carried out in order to give extremists a ‘breather’ and allow them to replenish their ranks. "Our assumptions have been confirmed, the actual goal of the three Western countries was to let the extremists catch their breath, restore their ranks and prolong the bloodshed on Syrian soil thus hindering the political settlement process," she pointed out. According to Zakharova, "irreconcilable militants have stepped up their activities in the town of Douma, where staff members of the United Nations Department of Safety and Security, who were assessing the situation ahead of an OPCW group’s visit, came under fire on April 18," the Russian diplomat said. "This seems to be more than a coincidence," he said, adding that "militants and extremists seem to have concerns regarding the presence of OPCW experts." 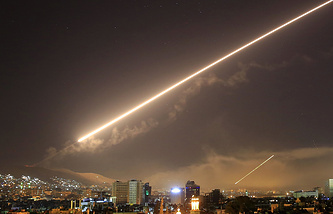 On April 14, US warplanes and naval ships in cooperation with the British and French carried out a missile attack on Syria’s military and civilian infrastructure facilities. The Syrian air defenses managed to shoot down 71 out of 103 missiles fired by the US-led coalition. Washington, London and Paris claimed the strikes were a response to a chemical weapons attack, which had allegedly happened in the Syrian town of Douma on April 7. A number of non-government organizations, or NGOs, including the White Helmets, had spread reports about the incident. 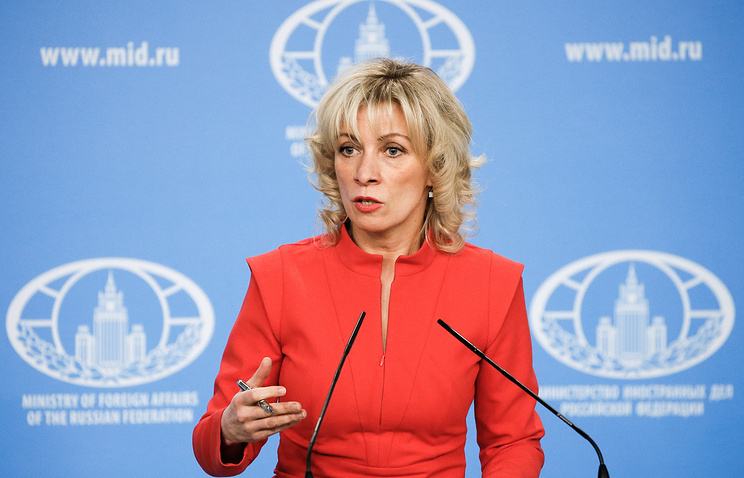 The Russian Foreign Ministry lambasted those allegations as fake news, while Russia’s Defense Ministry pointed out that the White Helmets are not a reliable source of information, since they are notorious for spreading fabricated information.